Sandium Heating and Air Blog: How Does a Heat Pump Work? Everybody is familiar with furnaces and air conditioners, but did you know that South Bay Area homeowners have yet another option to heat and cool their properties? It is called a heat pump, and it’s an incredible way to cut down on your home’s power consumption. So how does a heat pump operate and what are the pros and cons of installing one? A heat pump is usually a heating and cooling unit that transfers heat from one particular place to a different. Heat pumps is usually applied in place of an air conditioner along with a furnace, simply because they may be capable to both heat and cool a household. You'll find 3 most important varieties of heat pumps: air-source, ground source and water-source. The name of each of these heat pumps describes the outdoor source that may be made use of to heat or cool your property. When a heat pump is utilized to heat a home, it absorbs current heat from the outdoors air, the ground or even a nearby water supply and transfers it in to the dwelling. In an air supply heat pump, outdoors air is drawn into the heat pump exactly where it passes over liquid refrigerant coils that absorb the heat from the air. The heated, gaseous refrigerant then goes by a compressor where it increases temperature even more and moves for the indoor coils inside your property. There, the heat is made use of to warm the air in your dwelling and the refrigerant turns back into a liquid and repeats the cycle. 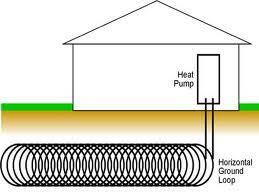 Within a ground or water source heat pump, pipes are buried underground or in a nearby water source exactly where the temperature remains consistently warm all through the year. Water or refrigerant is pumped by way of the pipes plus the underground heat is absorbed and transferred into your home inside a equivalent manner as an air supply heat pump. No matter the type of heat pump, the approach is basically reversed when it is actually used to cool your home. What are the pros and cons of using a heat pump inside your Bay Area home? The biggest advantage of heat pumps is that they may be exceptionally energy efficient. Once they are utilised to heat a house, they simply transfer existing heat as opposed to employing energy to generate heat. Heat pumps perform most effective in milder climates, which makes them an extremely efficient alternative for the South Bay Area region. When you install a heat pump, you also possess the comfort of utilizing one device to heat and cool your home. The biggest drawback to a heat pump would be the expense of installation. Having said that, this cost is normally created up in future energy savings. Visit Sandium.Com to learn more about how a heat pump system can save you money in the long run.